Your dream of having a happy, well-behaved, and well-groomed dog is within your reach, especially if you utilize the comprehensive services of K-9 University. 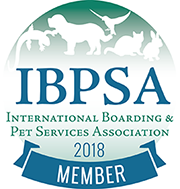 Our locally owned and operated company has been taking care of Plano’s canine population for over 25 years, and we are happy to look after your dog while you are at work or on vacation. We offer resort-like dog boarding, comfortable dog kennels, professional dog grooming, and custom dog training classes to bring out the best in your furry friend. K-9 University’s skilled dog trainers provide the ideal place for your puppy to play while our professional dog groomers bring on the pampering to make your dog look their best. With individualized attention and a fun, yet safe environment, you can trust that your dog is in the best of care. To find out more information, give us a call at (972) 801-9090! Though K-9 University is located in Plano, TX, we are proud to provide our outstanding services to the communities of Allen, Frisco, McKinney, Carrollton, The Colony, Parker, and Addison. Follow US-75 N, and take exit 31 towards Spring Creek Parkway. Turn left onto E Spring Creek Parkway. Follow this road for 4.5 miles and K-9 University will be on your right, just before you hit Coit Road. Take President George Bush Turnpike towards Plano and use the 2nd from the right lane to take the Coit Road exit. Stay in the left 2 lanes at the fork and turn left on Coit Road. Follow for 4 miles. Turn right onto W Spring Creek Parkway and make a U-turn at the next cross street, Cheyenne Trail. K-9 University will be on your right.